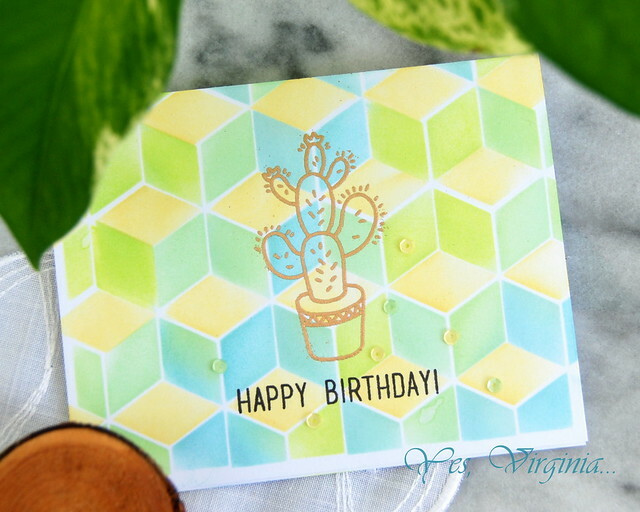 I am popping in to share an extra stenciled one layer card that I created. Today also marks the Altenew July new stamps and dies release (see here). The entire release from June can be found here. 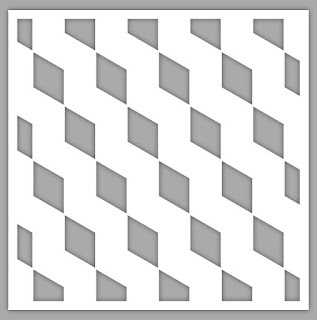 However, I still want to share something with you from Altenew. The "hardest" part of this card is using the stencil and create the background. Be sure to use a piece of paper to cover the surface while you apply the inks. This way prevent you from getting smudges (ask how I know...). 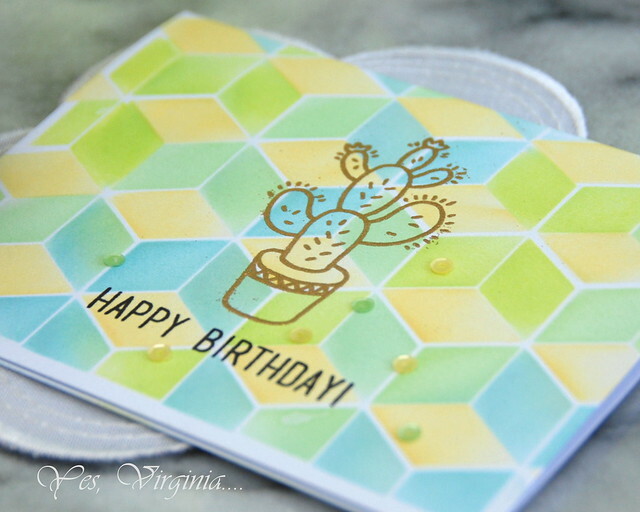 Once that's all done, I gold-emboss the cactus from "Be Strong" and stamped the sentiment from Cake Love...done! Don't forget to use the code "SHIP7OFF"(for orders over $100) to get $7 off. You had me the minute I saw those awesome stenciled boxes in glorious yellow. Terrific "man-card". 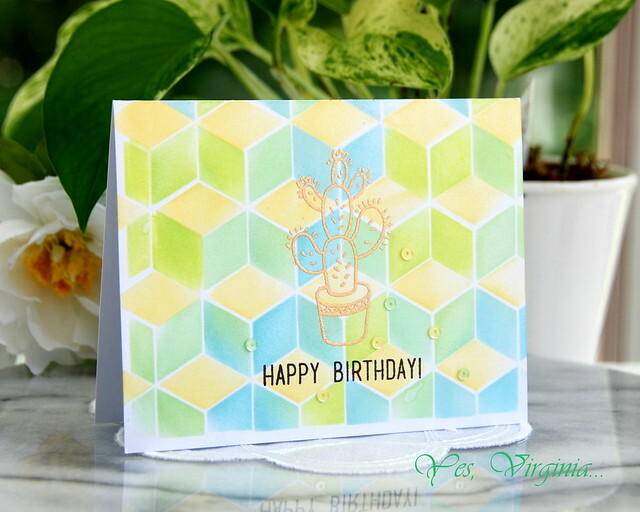 That is a wonderful stencil and your card is wonderful too. Thank you for posting your holiday photos.....brings me joy. Stunning Virginia. I have tried the stencil with three colours. Must do that! Love the colours here.